Join us for a special night of food and Aquavit. Enjoy this carefully paired 6 course meal, great Aquavit and new friends, all served around a large communal dining table. 6:30 pm welcoming cocktails. With dinner starting at 7 and going till 8:30 or so. Start with an Aquavit cocktail before dinner. Sit down at our large group table and enjoy each specially prepared course as you sip on the carefully paired aquavit. Each alcohol pairing is included in the price. Extra shots and cocktails are available for an additional charge. Please Plan Ahead – Drink Responsibly! Ticket sales end on Monday September 18. Join us for TOAST 2017 at the Left Bank Annex February 18! The 7th Annual Toast event is an opportunity to taste from a wide variety of over 120 spirits from across the Northwest, the Country and the Globe. 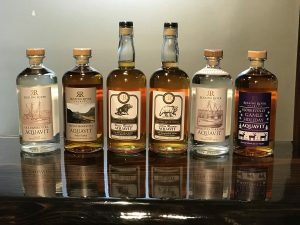 TOAST allows small distillers and producers to showcase their handcrafted spirits, while providing an opportunity for the public to experience the diversity and quality of craft spirits from Oregon and beyond. For more information and to buy tickets go to Oregon Distillery Trail. Open extended hours Wednesday through Sunday. 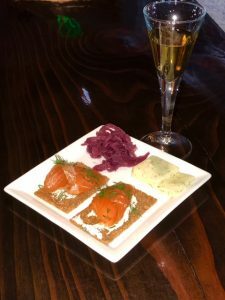 Join us for full size Aquavit Cocktails, food pairing boards. Extended hours: Wednesday Dec 7th- Sunday Dec 11th. Friday 12 – 9 pm. Join Distillery Row for our annual Black Friday alternative to big box mall shopping. We’ll have all eight Distillery Row distilleries under one roof with nearly 100 spirits on hand. Joining us will be over 20 artisan food, drink, and specialty vendors all offering unique gifts for the holiday season. Whether you need something for that office party or a gift for that hard to shop for friend of a friend, this is the place to find it. FREE ADMISSION! ALL AGES WELCOME!